The foundations of Palazzo Galletti were erected in a humble area, full of ​​huts and dilapidated buildings. The project was ordered by the Florentine printer and typographer Vincenzo Batelli, to set there his foundry, typography, chalcography, and lithography, with relative spaces for draftsmen, print-painters and bookbinders (as well as his own house). 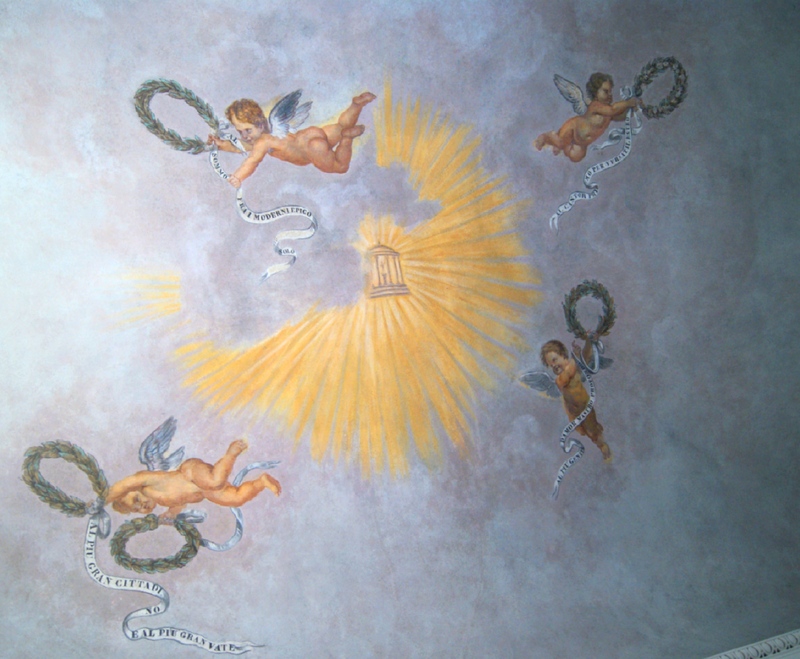 Vincenzo Batelli (Florence, 1786 – 1858) had a deeply creative personality and was a truly art-lover. Born in a poor family, he always showed an adventurous spirit that convinced him to enlist in the Grand Duke of Tuscany Ferdinando III’s army and then in Napoleonic army. Settled in Milan in 1815, here he got some credit as a watercolorist. After a few years, with the friend Ranieri Fanfani, he opened a typography named “Batelli and Fanfani”. The activity gradually improved. In 1825, for his libertarian ideals, he left Milan to avoid his eldest son to be enrolled to the military service under the Austrian rule. Come back to Florence, he opened the typography in Palazzo Galletti. He honored his work as typographer, always trying to publish quality and value editions, accessible to lower classes both for the economic price and for the conditions of sale through the associative system, which he was one of the very firsts passionate supporters of. For his typography, Batelli almost always relied on Italian industries. His books were honored with prizes and medals in various Tuscan exhibitions. He could count on the precious friendship and help of, among others, Filippo Pistrucci, D. Bertolotti, Felice Romani, Niccolò Tommaseo, Ferdinando Ranalli, who was also literary director of the typography, for a while. 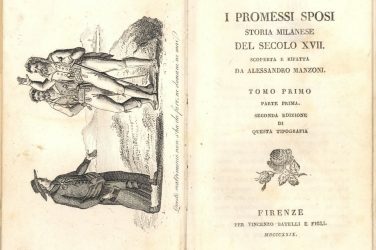 On July 1827, he decided on his own initiative to publish the first reprint of Alessandro Manzoni’s masterpiece “I Promessi Sposi“. The Batelli’s one boasts the primacy to be the first illustrated and popular edition. The following year, he also published the first edition, in six volumes, of Manzoni’s opera omnia. He also promoted the decoration of the niches of the pillars of Uffizi’s portico with 28 statues of illustrious Tuscans. After 1835, due to some wrong investments, Batelli’s fortune became to decline. Reduced in poverty, he had to close the typography and sell the building. Forced to inactivity because of the old age and the lack of work, he died in 1858. The facade is symmetrical and presents four niches, with marble statues of the Four Season: Spring carved by Lorenzo Bazzanti, Summer by Giovanni Insom, Autumn by Francesco Orzalesi and Winter by Niccolò Bazzanti. 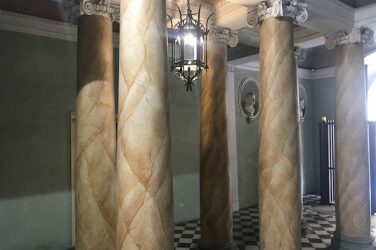 On the ground floor, the remarkable main entrance is set between beautiful trabeate Ionic columns, decorated with stucco-works. A three-ramps stairway with a pavilion vaulted marble balustrade with skylight complete the magnificent entrance. 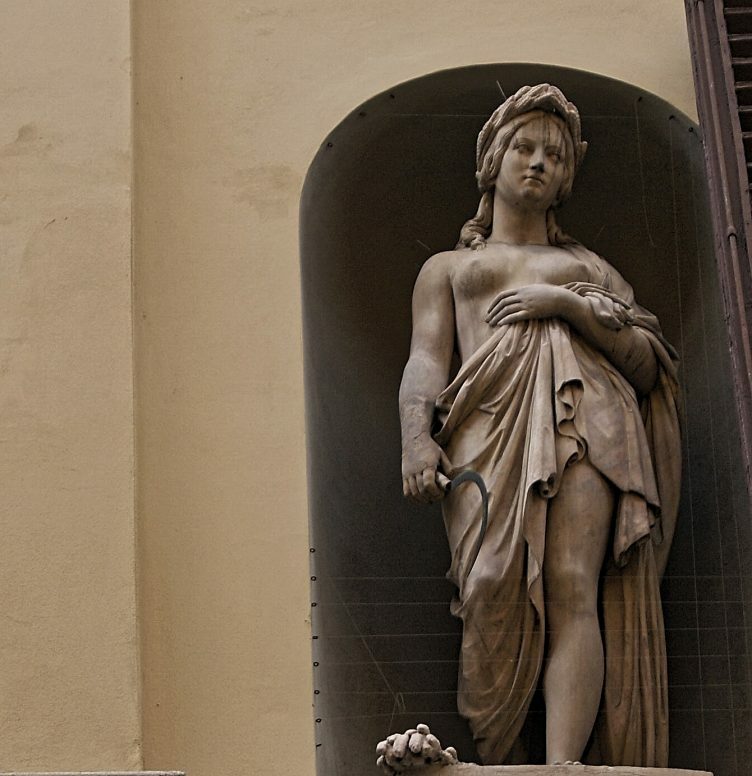 Originally, here there used to stand two other statues, representing the goddess Minerva, carved by Bazzanti, and Harpocraes, god of silence, carved by Emilio Fantarelli, surrounded by statues of the four major Italian poets: Dante, Petrarca, Ariosto and Tasso. In the attic, there was a prestigious old clock. It is said that passersby in Via Sant’Egidio knocked on the door in front of the n.12, because the street was too narrow to see the time marked by the clock. You can’t hold back a sweet nostalgic smile, thinking about similar scenes in the Florence of those years. On the upper floors, you can see two fake arched central lodges, flanked by architraved windows. in Via S. Egidio (Bellini, 1831-1833)”. Palazzo Galletti, current home of Europass Language School, numbered among its past and famous tenants the Nencioni Institute, where a young Giosuè Carducci, first Italian ever to win a Nobel Prize for Literature in 1906, taught for a short period. 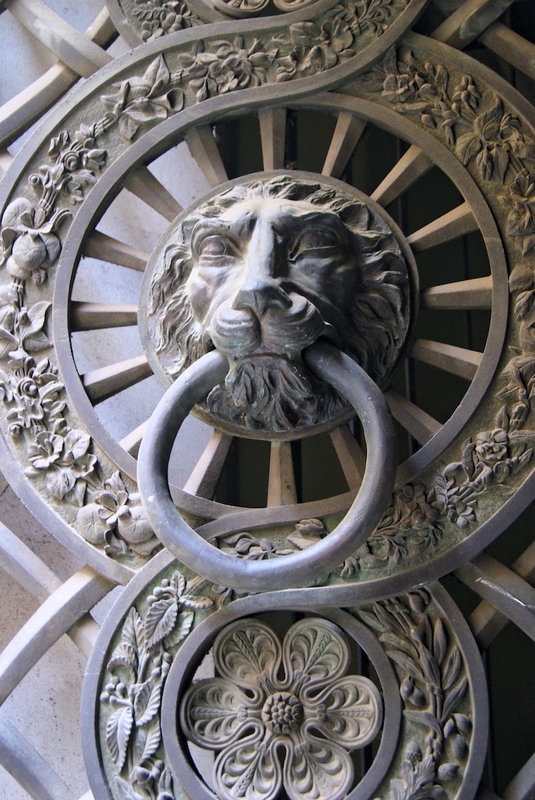 Europass Language School is located at the second floor of Palazzo Galletti since 1992. 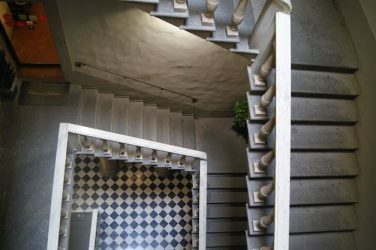 Recently, the building has been finely restored and converted in a hotel de charme and a boutique B&B (at the first floor). The closeness to Teatro della Pergola and Teatro Verdi make it the ideal destination for a cultural and artistic stay in Florence. Here you can breathe a precious atmosphere of elegance, history and culture: we are very proud to welcome you in this magnificent building, example of the timeless beauty of Florence! Share the article on Facebook or Twitter. Subscribe here to receive free resources to learn italian.